A few weeks ago a U of I student reached out to CUSR wanting to help out the family of one of our youth participants, Miyani. Jason had recently learned of a “pay-it-forward” type initiative and wanted to participate. 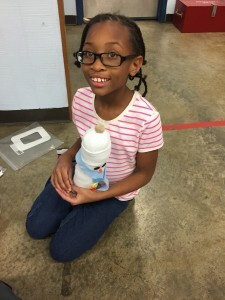 Miyani attends our After School program, and has for the last few years. She has grown leaps and bounds since she first started with us and even won our Youth Participant of the Year award earlier this month. Jason had never met Miyani or her parents, but despite that, he paid off the remainder of their After School bill for the current semester, and paid ahead for next semester (That’s over $800 total!). The video below is one that Jason made about the experience, I urge each of you to watch it and I promise, it will make your day!